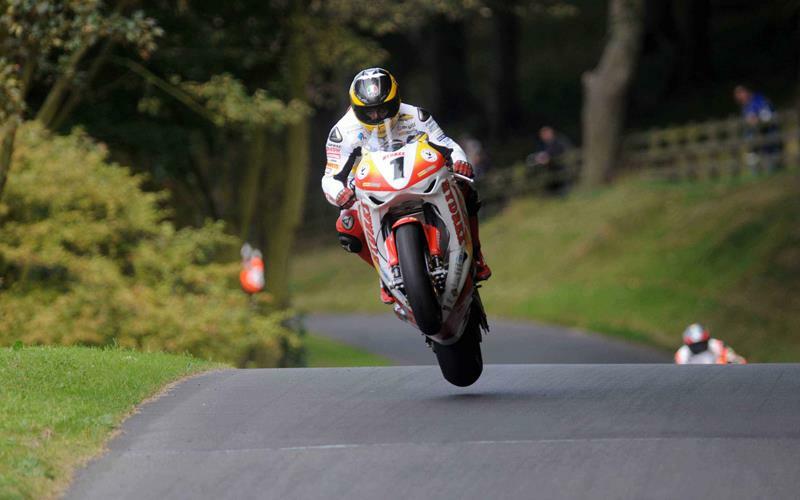 Guy Martin won his seventh straight Scarborough Gold Cup after a traumatic weekend at the Oliver’s Mount circuit. Rather than racing his regular Hydrex Honda roads superbike, Martin was riding the team’s BSB bike that Tommy Hill raced at Croft two weeks ago. The reason for swapping bikes was to help MCN with a special feature (see Wednesday’s paper) but his weekend went bad when he took a tumble at the Mountside Hairpin in the first Darren Lindsay superbike race (taking out Padgetts Honda rider Ian Hutchinson in the process) and had several problems with the bike’s electronics package including a crank sensor failure, and a broken regulator wire. The bike was finally fixed for Sunday’s big race and Martin didn’t disappoint the massive 52,000 crowd, breaking his own lap record at the height of an epic battle with Hutchinson. Martin celebrated with a bucket-size cup of tea and said: “I was still earning my way around the bike. "It’s a really well sorted handling-wise but the electronics just don’t suit the roads – well not here anyway. "You’re never inch-perfect on the roads (because of the way the bumps throw the bike around) so the traction (control system) never knows whether it’s coming or going. Hutchinson tired everything to pass Martin – on a track that’s notoriously hard to overtake on - but in the end opted for a last corner bid for the lead. 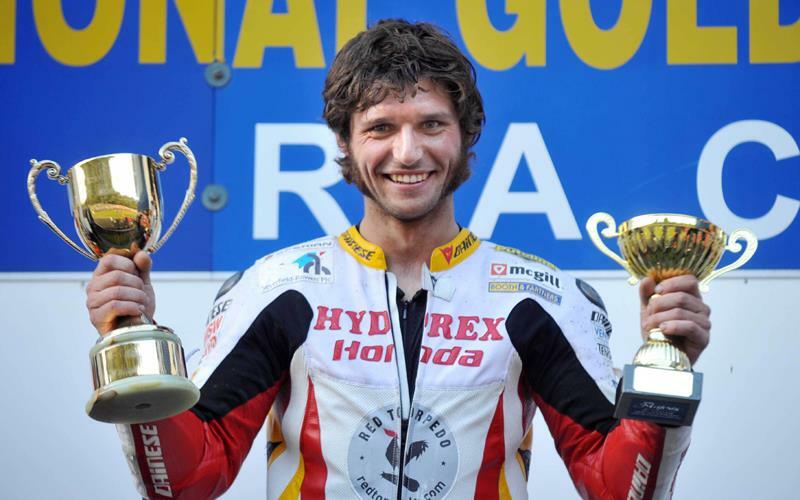 Ryan Farquhar had to pull out of the Gold Cup feature – his right hand he broke at the Manx was giving him too much grief. But earlier he had won the Darren Lindsay Trophy, having won the first leg and finished third in the second on behind winner Hutchinson and Yamaha rider Michael Pearson. Ian Lougher increased his tally of Scarborough race wins to 126 when he scored victories in the 125, 250 and 600 races. The 600 win – 6.5s clear of Hutchinson - came in the second leg of the David Jefferies Cup and included a new lap record. He’d earlier finished second to Michael Pearson in the first leg. Lougher also finished third in the Gold Cup race, riding conor Cummins Black Horse Finance Yamaha superstocker. Lougher though was beaten three times over the weekend by William Dunlop – each time with the Irish youngster pipping him on the final lap. Dunlop won one 250 race and two 125 races. Tim Reeves achieved his goal of leaving Scarborough with a race win under his belt in his Oliver’s Mount debut. Reeves, partnered by Dip Chauhan, won the final of three F2 Sidecar races with his LCR Suzuki. Conrad Harrison and Lee Patterson won the first F2 leg with Reeves third. Tony Elmer and Darren Marshall won the second leg and were second in the other two.